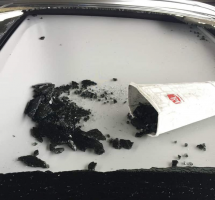 Mercedes-Benz panoramic sunroofs allegedly shatter and explode without warning. February 15, 2019 — A Mercedes panoramic sunroof class action lawsuit has been partially dismissed as the automaker failed in its motion to dismiss the entire complaint. The lawsuit includes all California consumers who purchased or leased Mercedes-Benz vehicles in California and who paid for the diagnosis or repair of the sunroofs or who have not had the sunroofs fully repaired. Plaintiff Giorgio Enea filed the proposed class action after his 2015 Mercedes-Benz GLA250 sunroof allegedly exploded as he was driving to work. Enea says he was covered by falling shards of glass that went into his hair and eyes, leaving him unable to work for a few days. According to the lawsuit, a Mercedes-Benz dealer refused to repair the damage unless the plaintiff signed a release. The document allegedly would force the plaintiff to say Mercedes had no liability concerning the shattered sunroof, a request Enea declined. But the plaintiff claims he was forced to pay about $2,000 to repair the panoramic sunroof. The judge didn't see it the same way and ruled the plaintiff did indeed allege facts sufficient to support a defect claim. Mercedes told the judge the plaintiff never presented such proof when he took his vehicle to a dealership. But the judge ruled the limited warranty does not require that “positive physical proof of a manufacturing defect” be present at the time of repair. According to the motion, Mercedes argues the limited warranty doesn't cover design defects, only “defects in material or workmanship.” But the judge ruled the plaintiff made allegations based on sunroof problems that aren't limited to design defects. The judge says even assuming the limited warranty covers materials and workmanship defects, at this stage the plaintiff has plausibly alleged such a defect. Mercedes further received bad news concerning implied warranty claims when the automaker argued the plaintiff's sunroof failed more than a year after he first leased his vehicle. This allegedly placed his claim beyond the limitations period for California implied warranty claims. However, the plaintiff alleges his claim isn't time-barred because the sunroof defect existed within one year of when the vehicle was leased. The judge agreed and denied the automaker's motion to dismiss the implied warranty claim. Mercedes received better news from the judge concerning fraud and concealment claims as the judge agreed with Mercedes in its motion to dismiss. According to the judge, the plaintiff failed to allege that Mercedes had knowledge of sunroof defects and failed to allege a claim of active concealment. The judge found "a claim of active concealment requires allegations of 'affirmative acts on the part of the defendants in hiding, concealing or covering up' the alleged defect. Plaintiff’s allegations are insufficient to support a claim of active concealment." Although Mercedes succeeded in getting a few claims dismissed, the judge told the plaintiff those claims could be amended. The Mercedes-Benz panoramic sunroof lawsuit was filed in the Superior Court of the State of California, County of Alameda - Giorgio Enea, et al., v. Mercedes-Benz USA, LLC, et al. The plaintiff is represented by Haffner Law PC.